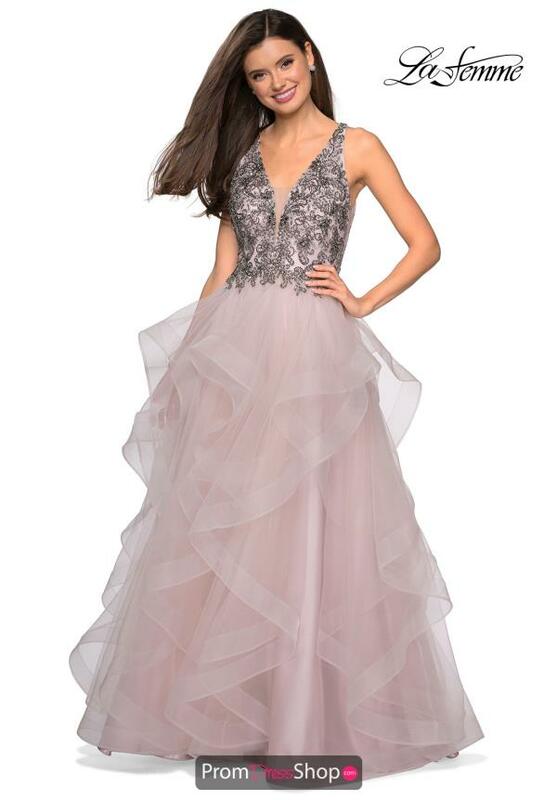 Beautiful Gigi long dress style 27649 is the perfect choice for any special occasion. This dress showcases a plunging v-cut neckline, with a mesh insert and fully beaded fitted bodice. Flowing into a tulle made a-line silhouette skirt with ruffles throughout the entire skirt, which will leave a lasting statement.